Why Do People Live in Jamison Station? Jamison Station is located at the corners of Liberty Pike and Franklin Road across the street from The Factory in historic Franklin TN. The condos were designed to have a hip, urban vibe while situated in an historic backdrop. This location is ideal for those looking to take advantage of the proximity of the downtown area where you will find lots of shopping and eateries. 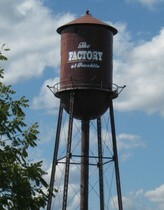 The Factory also offers a wide variety of shopping and dining and is home to the Franklin Farmer's Market. What Type of Development is Jamison Station? The development was started in late 2007. 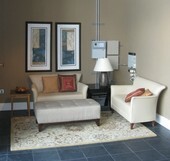 The condos were designed to be reminiscent of loft-style properties found in many urban settings. So, you will find high ceilings with exposed pipes and ducts. Each unit has sand and stain hardwood floors, granite countertops, maple cabinets and Viking stainless steel appliances. There are approximately 25 one and two-bedroom units. The primary living space is on the main floor where you will find an open concept living with the kitchen and great room and half bath. The second floor consists of the bedrooms and baths. Each master has it's own private bath. You won't find this loft concept in any other location in Franklin. As a result, the units rarely come on the market. When they do, they sell quickly. Every unit has outdoor patios and a rooftop deck with fantastic long views of the area. The larger units have their own private elevators and demand a higher price because of this. All units are three stories, have two parking spaces in a gated garage and a 5x9 storage area. The secured buildings have a lobby with elevator to the units. Originally, there was to be commercial space below the units for local businesses. However, when the economic downturn occurred in 2008, it became too difficult for the developer to sell the space. Much of that space has now been purchased but still sits vacant. Only a few businesses currently operate there. As the housing market continues to improve in the area, this space will eventually be occupied as it offers a great location for boutiques, eateries and services. What Type of Activites are Offered Near Jamison Station? The Factory is located directly across the street from Jamison Station. You will find boutique shopping, eateries and restaurants, as well as, a church and O'More School of Design. The Boiler Room Theater is also located here making an evening out only steps away. The historic square in Franklin is only a ten minute walk where you will find additional shopping and dining. What Schools Will Jamison Station Students Attend? Jamison Station is zoned for Franklin Special School District (FSSD) for elementary and middle school and Williamson County Schools for high school. Students will attend Liberty Elementary, Freedom Middle and Centennial High School. Buyers should know there is an additional property tax assessed to residents who live within the FSSD. Let Us Help You Find Your Jamison Station Home. 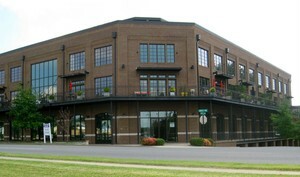 Above is the complete list of the Jamison Station condos and townhomes for sale in Franklin TN. If you are not currently working with a Buyer's Agent and need assistance buying a unit, contact Tammie White at (615) 495-0752.